Crispy or grilled chicken strips served with BBQ sauce. 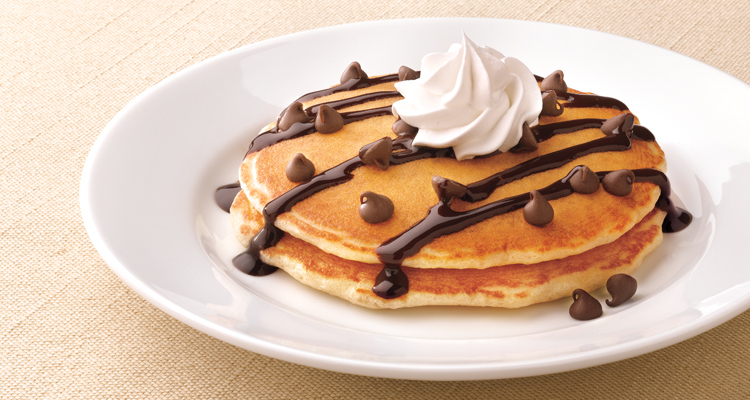 Two chocolate chip pancakes drizzled with chocolate sauce and topped with whipped cream. Also available as plain pancakes with syrup. Three buttermilk pancakes, one egg and choice of two strips of bacon, two sausage links or one sausage patty. Side choice not included with this item. Two slices of American cheese melted between choice of white or wheat bread. One egg, choice of one strip of bacon or sausage link, and toast with jelly. Quarter pound crush burger with American cheese, tomato, and pickles. Slow-roasted, hand-carved turkey with gravy. STEP 2: Pick a side item. Add an additional side item for an extra charge. *Can be cooked to order, NOTICE: Consuming raw or under-cooked meats, poultry, seafood, shellfish or eggs may increase your risk of food-borne illness. 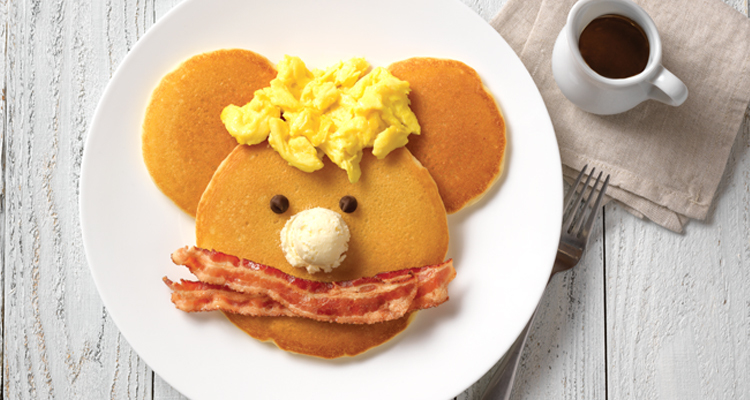 Kids' Menu is for our friends 10 and under. Kraft is a registered trademark of Kraft Foods, used with permission. YOPLAIT and SIMPLY GO-GURT are registered trademarks of YOPLAIT MARQUES (France) used under license.